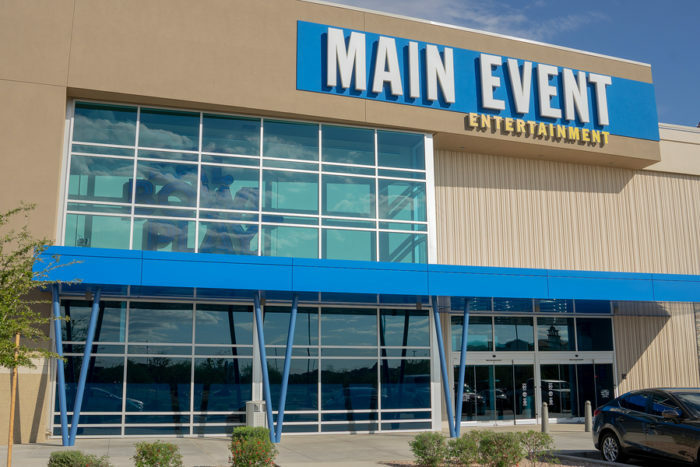 Almost three years ago, I came on board to lead the talent-acquisition team for Main Event Entertainment, a Dallas-based family entertainment center with 42 event centers in 13 states. 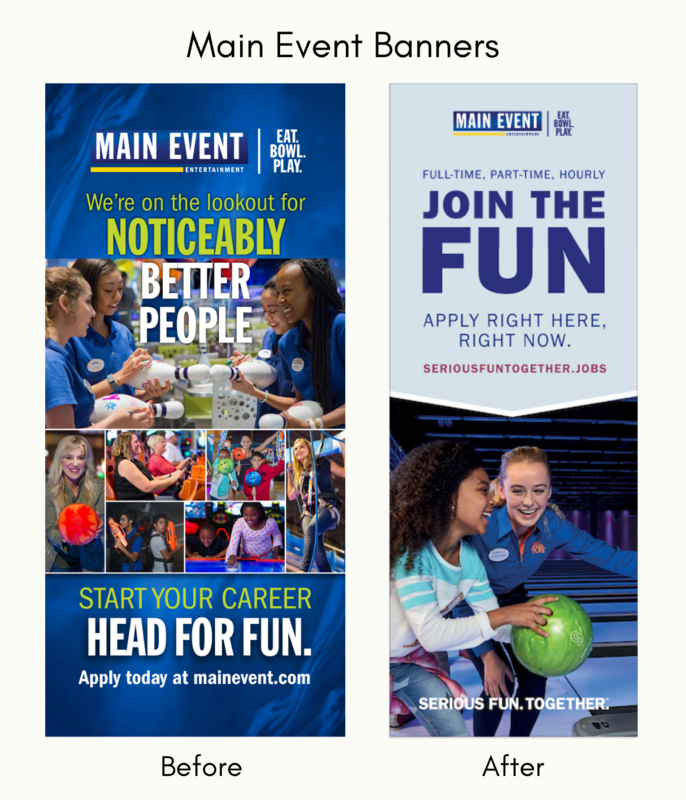 It was a great time to join, as Main Event is in growth mode transitioning from a regional brand to a national brand, opening multiple centers per year across the country, and hiring about 8,000 employees each year. As I took a closer look at the process I was inheriting, a few things immediately stood out to me. Our time to fill was well over the industry standard. It was taking 60 days to hire non-management candidates and over 90 days to hire managers. Our cost per hire was $500 per hire. What does this even mean? The current team members aren’t good enough? Imagine how they must have felt passing it on their way into work! Needless to say, I knew this wasn’t the message that we wanted to communicate to our current or future team members. We were opening up new centers in markets in which we had no brand recognition. Unfortunately for us, recruitment marketing was happening months before consumer marketing. Our employment EVP needed to be refreshed. It needed to mirror the culture of the organization. But, our organization didn’t have the resources, and lacked the infrastructure to take on such a monumental task. I started my research, including reading a book called The Talent Brand, which inspired my employment branding. I kicked this project off with big goals: to reduce our time to fill, reduce our cost per hire, and increase awareness in new markets. I had little to no budget to make all of this happen. The first step was to better understand the business and how our team members truly feel about working at Main Event. We conducted both quantitative research and qualitative research, including interviewing all levels within the organization from members of the C-suite to hourly team members in the centers. While talent acquisition was on the path of creating an employment brand, marketing began its own rebranding efforts, as the consumer messaging needed to be refreshed. I could have taken this as a setback. Instead I saw this as an opportunity to partner with our marketing team, which had a much bigger budget than I did. They saw it as an opportunity to use the research that I had already completed. When it was time for their launch, they were very receptive to working with our team and ultimately moved forward with what we had come up with. This led to the creation of Serious Fun Together. What started out as big dreams with a little budget turned into big dreams with a budget. Marketing had the big budget to launch a campaign to refresh the brand, so a lot of the work that needed to be done fell under its project scope. It created the Brand Manifesto, and paid for shooting a FUNifesto video. My team used the b-roll footage from the filming to use in the job-profile videos that highlight our own team members. Marketing organized the photoshoot that was needed in order to capture fresh and fun images for the centers. The images were also used on the career site and within our recruitment marketing and internal communications. One of my proudest moments was when the entire consumer website was redesigned to mirror the work that we created for the careers page. One example is how we used our new assets to partner with Toys R Us to hire its staff when it announced it was going out of business. Using the new creative to drive traffic to a specific landing page to promote a hiring event really worked. In 10 days, we had 1,217 views on our landing page, 551 bitly clicks, 211 candidates registered for the hiring event, all with a total spend of $476. Today, our employment applications are up by 30 percent, primarily due to our awareness increasing in new and existing markets. Our cost per hire has dropped significantly; we’re now in the $60-$100 range. What started out as an employment branding issue turned into a re-branding opportunity for the organization. This has driven more customers into the door and candidates to our site. But the best part from my seat is that the partnership with marketing allowed us to save money, pursue new talent acquisition initiatives, and build in further efficiencies. Later this month we are rolling our Apply by Text capabilities to appeal to our young candidate pool, and streamlining the process of getting candidates in the door. In the same vein, we are currently building an AI chatbot that can introduce candidates to the brand, answer their burning questions, and schedule an interview in a single, seamless platform. Rhonda Merchant is a strategic thought leader who leads, develops, and manages high-performing teams of talent acquisition professionals who are transforming business in multiple industries including retail, consumer products, food & beverage manufacturing, financial services, and professional services. Her talents include managing high-volume recruitment-advertising campaigns in national markets, supporting targets for multiple business units and niche job functions. Her programs employ the latest strategies in talent branding, careers web sites/microsites, traditional, digital, programmatic, mobile, social media, video, job previews, pay-for-performance SEM, text to apply, and new media.